Vada Pav is an amazing food item which is both cheap and easily available. Also known as Indian burger this food item will leave your mouth watering. Usually enjoyed with green chillies, this dish is perfect for the heat your body needs when it’s cold around. A universal favourite during the monsoons is tea. If you go for a long drive then you must try a Tapri Chai from a local tea stall. Tea has many health benefits and has different types from masala chai to ginger tea. It will keep your body warm and make your taste buds tingle for more. Pakoras or Bhajiyas are the best snack in monsoons. Made with potato or onion these little crispy devils are a must-try in every rainy season. Best enjoyed with spicy chutney or sauces these are really delicious and they will never be enough for you unless you feel heavy and want to sleep. People who always want to go for healthy things but still have cravings in monsoon should try the wide variety of soups. Tomato or spinach soup are very healthy during the monsoons. If you are drenched in the rains then the first thing to do will be drink some piping hot soup since it will keep you fit and will protect you from cold and cough. 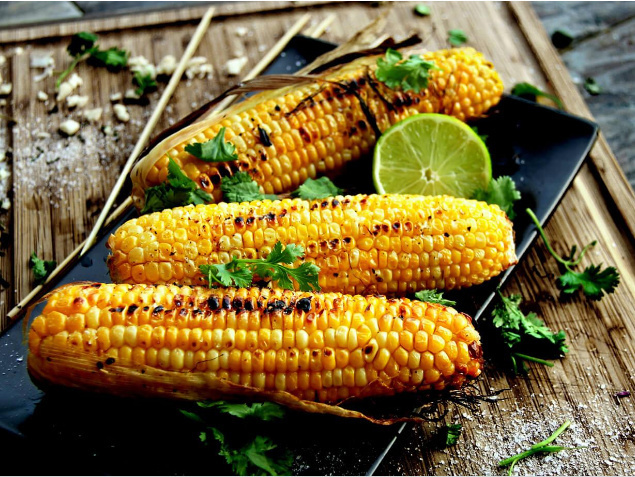 When we say Corn we don’t mean the bland multiplex corn in cups- we mean the hearty ‘Bhuttas’ which are hot and healthy. Bhutta stalls can be seen in plenty during rains. A healthy snack which is enjoyed with a coating of lemon gives your mouth a real treat. Whether you are a potato fan or not, samosas are something that can be eaten in any time of the day during monsoons, the outer crispy side and the aroma can actually make anyone hungry! Best eaten with chilies, chutney or sāmbhar these are enjoyed by everyone during monsoons. Hot buttered Pav with spicy Bhaji is something to die for. The Bhaji is a curry of semi gravy consistency. With butter on top you just don’t cannot find the patience when the delicious aroma hits you. Best enjoyed with lemon and onions, this dish is never be too old or boring for anyone. Stuffed aloo parathas and paneer parathas are something that makes you feel drowsy and wanting more- both at the same time. While they are usually eaten with cool curd, we have other options such as pickles, sauce or chutneys to accompany these wonderful parathas. Monsoons and masala food never grows old and so is the case with stuffed parathas and curd. Hot and soft momos stuffed with paneer, vegetables or chicken- there is a huge variety for you to choose from and are healthy for everyone. Spicy momos or non-veg momos are really good for a change. While You might end up scalding your mouth but it does not stop you from reaching out for another! Momos are great with spicy sauces and mayonnaise. If you like rice then hot aromatic pulav is heavenly during the monsoons. Hot pulaav full of healthy vegetables or any additions of your choice is always a good idea, and the dish can be complemented with raita, daal or gravy to create explosions of flavours in your mouth!. Monsoon make these delicious foods extra special. From healthy to not so healthy and from crispy to hot steamed items, share with us in the Comments, which of these you enjoy the most!